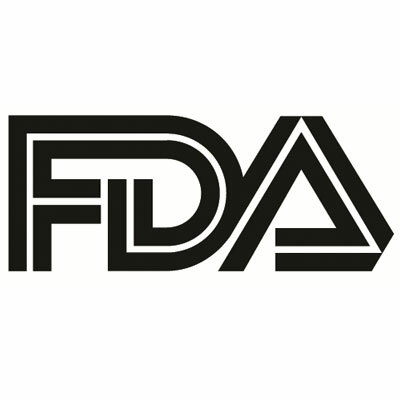 The US Food and Drug Administration (FDA) has approved romosozumab (Evenity) for the treatment of osteoporosis in postmenopausal women with a high risk of bone fracture. The monoclonal antibody from Amgen is available as a once-monthly, two-injection therapy that blocks the effects of sclerostin and increases new bone formation in patients. Currently, 10 million-plus people in the US suffer from osteoporosis, though the condition is most common in postmenopausal women. The women most likely to be treated with romosozumab have a history of osteoporotic fracture or multiple fracture risk factors, or those who have failed or are intolerant to other therapies. Investigators demonstrated romosozumab’s efficacy and safety in a pair of clinical trials involving more than 11,000 women with postmenopausal osteoporosis. After 1 year of treatment in the first study, treated patients reported a 73% reduced risk of new spine fracture versus patients on placebo. They showed a maintained benefit for reduced risk over the trial’s second year, when treated patients were given denosumab as maintenance therapy. In the second study, patients on 1 year of romosozumab followed by 1 year of alendronate maintenance therapy reported a reduced spine fracture risk of 50% versus patients given 2 years of lone alendronate. Treated patients also reported favorable reductions in nonvertebral fracture risks over 2 years. Because romosozumab’s bone-forming benefits weaken after 12 doses, patients are advised to switch to proven osteoporosis therapies such as denosumab or alendronate. The Evenity packaging will include a boxed warning on its label for the drug’s increase of heart attack, stroke, and cardiovascular deaths, and patients who have suffered such an event in the past year are advised to not take the therapy. Hylton V. Joffe, MD, MMSc, director of the FDA’s Center for Drug Evaluation and Research's Division of Bone, Reproductive and Urologic Products, noted the therapy’s proven risks and benefits in a statement accompanying the announced approval. “Today's approval provides women with postmenopausal osteoporosis who are at high risk of fracture with a new treatment that will reduce this risk," Joffe said. "But Evenity may increase the risk of heart attack, stroke and cardiovascular death so it's important to carefully select patients for this therapy, which includes avoiding use in patients who have had a heart attack or stroke within the previous year." In January, the FDA Bone, Reproductive, and Urologic Drugs Advisory Committee voted in favor to support the therapy’s indication as an osteoporosis therapy, upon review of its efficacy and safety findings in pivotal phase 3 trials.